1) NATE WASHINGTON-WR-Titans- Two reasons to pick Washington up off waivers: The first is because he will be the WR1 for the Titans going forward as Kenny Britt has been lost for the season with a torn ACL and MCL. The second is because Nate is averaging 7 receptions and 86 yards per contest even with Britt in the game. And that includes a score as well. He is already 20th in points in WR rankings. Two of the next four games are against the Browns and the Colts. 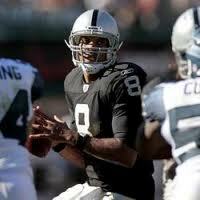 2) JASON CAMPBELL-QB-Raiders- Hard to believe that Campbell is available in 83% of Yahoo! leagues! He’s thrown just one interception in his last 148 attempts (and that was a Hail mary pass that was almost caught!) The QB of a surging Raider team that is 2-0 and should be 3-0, if not for their collapse in the Bills game 2 weeks ago, is a former 1st round pick of the Redskins out of Auburn. He will be going up against the defenseless Patriots who have yielded the most yards per game (377) in the NFL. 3) KENDALL HUNTER-RB-49ERS- Here is someone that can help your fantasy team right away. Frank Gore has a bum ankle and either won’t play or will play sparingly. Not that he’s been a of any help to the Niners with his 2.5 yards per carry average and under 50 yards rushing average per game. Hunter scored the only touchdown in the Bengal game last Sunday and figures to receive a lot more of the load this week vs the Eagles who have been giving up a ton of rushing yards; 5.5 average yards per carry. 4) VICTOR CRUZ-WR-GIANTS- The depleted receiving corps of the Giants provided an opportunity for Cruz this past Sunday and the young 24 year old out of UMASS did not disappoint. 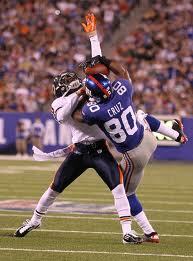 He finished with 3 catches good for 126 yards and two scores. He is certain to get the starting nod vs the Arizona Cardinals this week and is owned only in 12% of Yahoo! leagues. 5) JAMES CASEY-RB/TE-Texans- Casey, eligible at two positions, had his first rushing attempt for a modest 11 yards, but made himself more fantasy relevant by virtue of his 5 receptions good for 126 yards and a touchdown. Casey seems to have a knack for getting open, however we suggest that you consider this as a ‘cautious pickup’ as we will need to see how Gary Kubiak intends to utilize this talented back as Arian Foster is set to return this week vs the Steelers. BERNARD SCOTT-RB-BENGALS- If you have some room on your bench, Scott is the pickup for your league. Cedric Benson’s three game suspension is going down soon and as the Bungles will face the Bills, Jags, and Colts in the next 3 weeks, Scott could help fill your void at the RB position. Stash him if you can.